WAB conducts activities and events in order to raise funds for programs and to promote community pride. In recent years, these activities and events have family memberships, business memberships, 3 Winners card sales, community dinners/grillouts, concession stand sales, MYAS basketball tournaments, scholarships for students, and publication of seasonal sports programs, and banners. WAB plans its events and activities annually and makes adjustments in response to changing needs, member acceptance and other factors. WAB provides financial support to WHS through individual team and general fund donations. Fundraising by WHS teams is a combined effort of all teams. Through this approach, individual teams do not compete with one another for community support. Teams do share a portion of funds raised based on their participation in fundraising activities. The balance of funds is allocated to the WHS Athletic Department, or to support fundraising and/or community events. Individual team fundraising is dedicated to subsidizing the cost of the sport, such as tournament fees, sound and video equipment, transportation, team clothing, awards, and specialized gear. General funds are used by the WHS Athletic Director to purchase items that benefit the school and community, including weight-training equipment, scoreboards, facility improvements, and new uniforms. 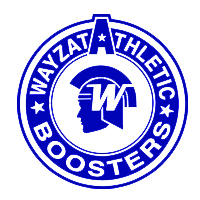 In recent years, WAB has produced sports programs and school banners.